Below you will find Top CBSE Schools in Ernakulam 2019, List of Best CBSE Board Schools in Ernakulam. Infant Jesus School is a center for primary, secondary and senior secondary education. Rajagiri Public School (RPS), Kalamassey is a co-educational school affiliated with the Central Board of Secondary Education (CBSE). The Cochin Refineries School, Kochi was promoted in the year 1966 for the children of the employees of the erstwhile Kochi Refineries Ltd (KRL) and Bharat Petroleum Corporation Limited (BPCL) after KRL’s merger with BPCL offers education from kindergarten to class XII. 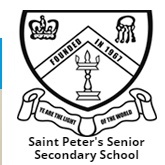 Saint Peter’s Senior Secondary School was established in the year 1967 in central Kerala. Kendriya Vidyalaya NAD, Aluva, a Defense Sector Kendriya Vidyalaya established in the year 1984 and model now is doing at K.
Promoted in the year 1965, Kendriya Vidyalaya Ernakulam is part of a system of central government schools under the Human resources ministry of the Government of India. Greets Public School, Kaloor - GPS, a full fledged senior secondary school, affiliated to the Central Board of Secondary Education, is a co-educational institution, using English as the medium of instruction. Hira Public School, Kochi was established in the year 1999 under the Sangamam Educational Trust. 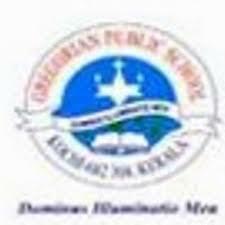 Cochin Public School was established in the year 1992 by the International Educational Trust. Founded in the year 1998, Carmel Public School is an educational enterprise of Carmel Monastery Vazhakulam and is affiliated to CBSE Board, New Delhi. 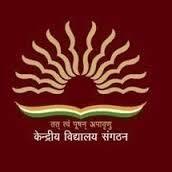 Fatima Central School is a minority educational institution affiliated to CBSE, New Delhi. Jyothi Nivas Public School is a co-educational Institution established and administered by the congregation of the Ursulines of Mary Immaculate. Established in the year 1998, Gregorian Public School, Kochi is one of the leading CBSE Schools in Kerala that has achieved National and International accreditation and affiliation. Established in the year 1978, Toc H Public School is a public school affiliated to the Central Board of Secondary Education (CBSE), New Delhi, for AISSE (Grade 10) and AISSCE (Grade 12) examinations. Saint Peter's is residential with a co-educational school offering education from Junior Kindergarten to Grade 12.